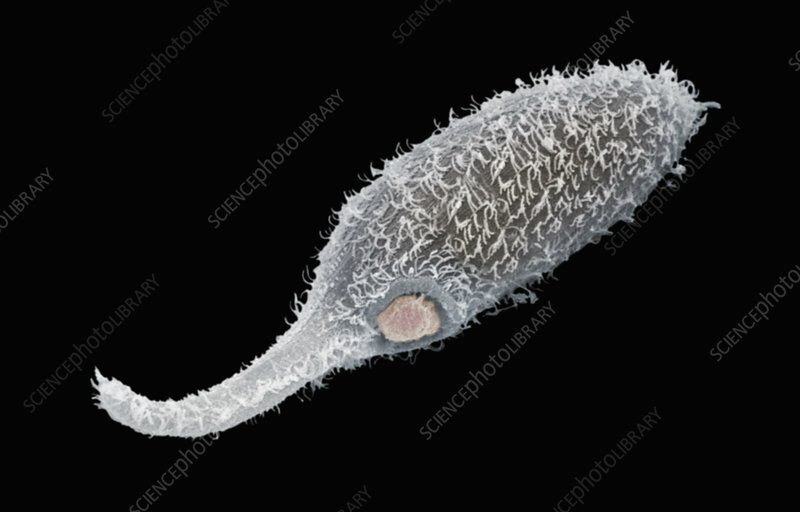 Predation among Protozoans, a Dileptus consuming a Tetrahymena. Dileptus is a predatory protozoan ,it eats other protozoans,. SEM.